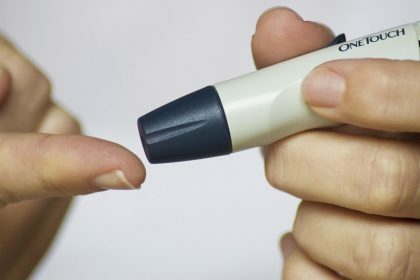 According to a new study published in Lancet Type 1 diabetes onset before age ten shortens women’s lives by 18 years.than women who do not have diabetes. Men lose almost 14 years of life in the corresponding situation. The lives of patients diagnosed at age 26-30 years are shortened by an average of ten years. “These are disappointing and previously unknown figures. The study suggests that we must make an even greater effort to aggressively treat patients diagnosed at an early age to reduce the risk of complications and premature death,” says Araz Rawshani, a researcher at the Department of Internal Medicine, Sahlgrenska Academy, and the Swedish National Diabetes Registry. While researchers already knew that type 1 diabetes is associated with a lower life expectancy until now it was unclear whether and how much gender and age at onset of illness affect both life expectancy and the risk of cardiovascular disease. “The study opens up the potential for individualized care. We know with certainty that if we maintain good blood sugar control in these patients, we can lower the risk of cardiovascular damage. This makes it important to carefully consider both evidence-based medications and modern technological aids for blood sugar measurements and insulin administration in patients diagnosed with type 1 diabetes at an early age,” says Araz Rawshani. “At the same time, the study must also be viewed in the light of the tremendous progress that has been made in the past few decades. Management of type 1 diabetes is nowadays highly sophisticated, with modern tools for glucose monitoring, delivery of insulin and management of cardiovascular risk factors. Those who live with diabetes today, and those who will acquire the disease, will enjoy longer and healthier lives in the years to come”, says Araz Rawshani. “From the patient perspective, this study is tremendously important. Suddenly we can answer questions about complications and life expectancy that we were previously unable to answer. Now there is robust evidence that survival largely depends on the age at which the patient develops the disease, and that there is a difference between men and women,” says Araz Rawshani.